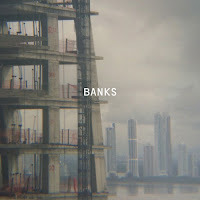 Snob's Music: Paul Banks announces new album "Banks", listen to "The Base"
Paul Banks announces new album "Banks", listen to "The Base"
Interpol singer Paul Banks has dropped the Julian Plenti pseudonym for his second solo LP. The record, Banks, comes out on October 23rd. Listen to the first track, "The Base", here.